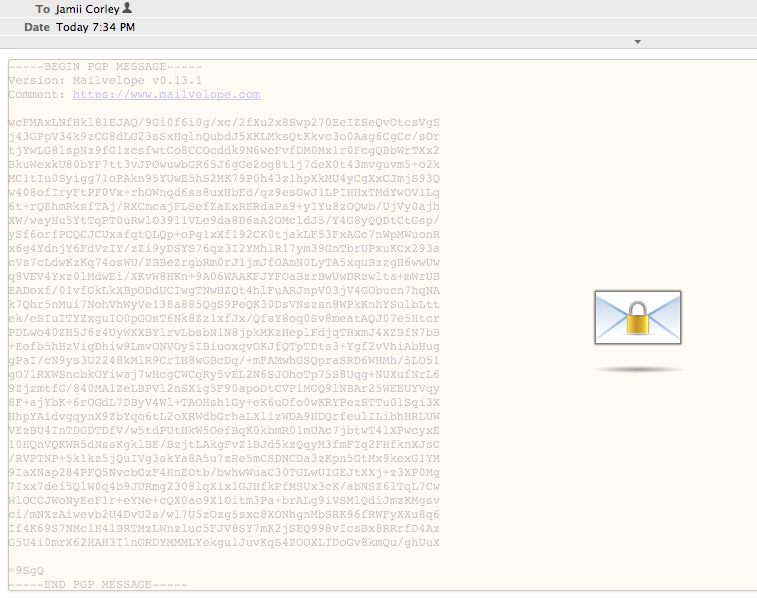 In our last post we showed you how to install the Mailvelope browser extension and generate PGP public and private keys, and how to import someone’s public key. Now we’d like to actually use this structure to send encrypted email. 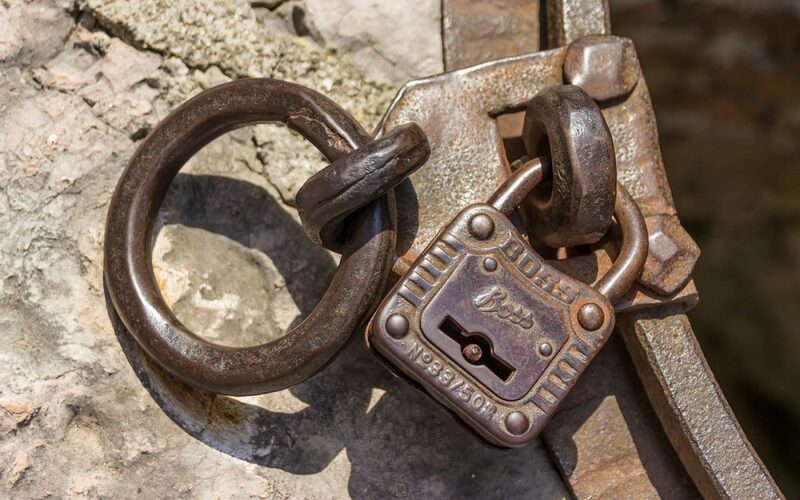 At this point if you use Gmail or Yahoo mail you’re actually ready to encrypt. Roundcube requires some additional configuration to work with mailvelope. Go to Options in your Mailvelope page, and select list of email providers, then Add New Site. 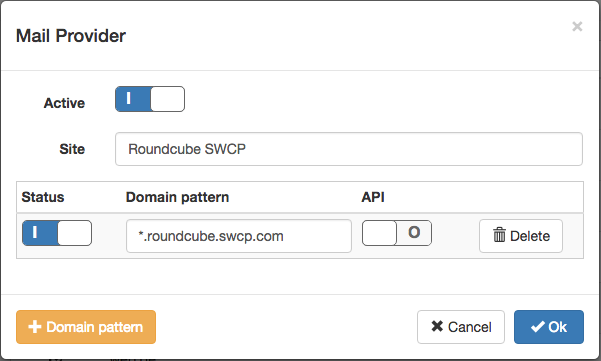 The site name can be “Roundcube SWCP” and the domain pattern should be *.roundcube.swcp.com. 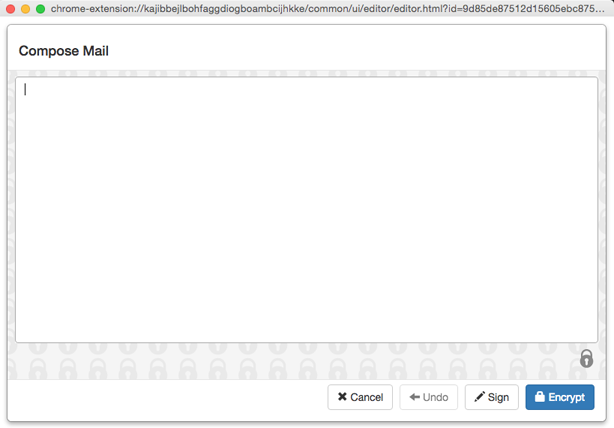 Now when you compose a new message you’ll see a button in the compose window that looks like a pencil and paper. If you press this a new window will pop open like the one below. 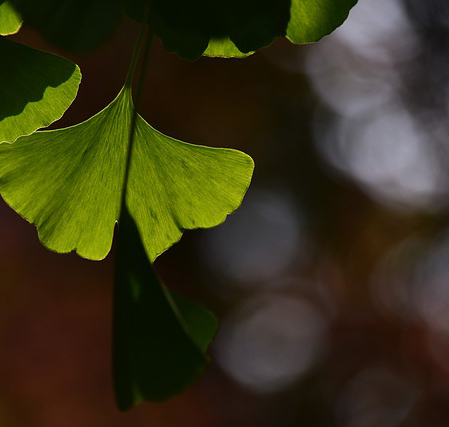 Type a message and press encrypt. You’ll get a dialog box that allows you to select the key you want to use to encrypt the message. This should be the key of the person you’re sending the message to. Press Transfer and that message will be copied to your compose window and you can now send the message to your friend. That’s it! You may want to make the process easier to use by allowing inline encryption. This will allow you to do the encryption in the compose window, without a separate popup window. To this this up go into the options for Mailevelop and into the security section. In the “Where do you want to compose your email?” item, select “In the text editor of the mail provider”. 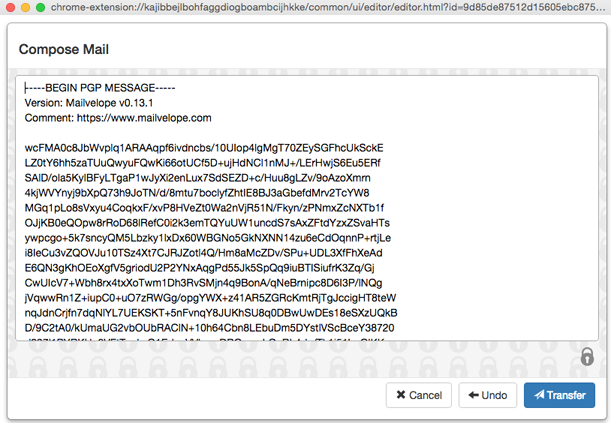 You will see a warning that this degrades the security level of Mailvelope and that is true. Because using the editor window you’ll be sending your message briefly the Roundcube software there is an opportunity for that server to look at your message. It’s up to you if that is of concern. The unencrypted message will not be seem by the mail servers, just the Roundcube server. Press the envelope with the padlock, and you’ll get a dialog box asking for your passcode. 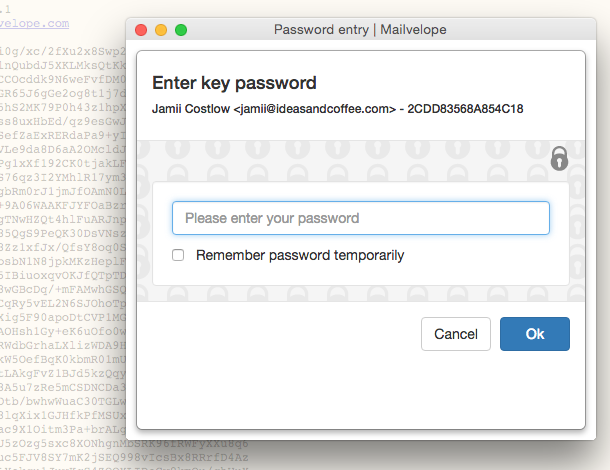 Type your passphrase in and the decrypted message will be displayed. That’s it!